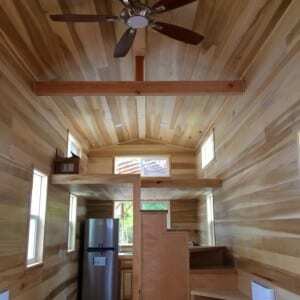 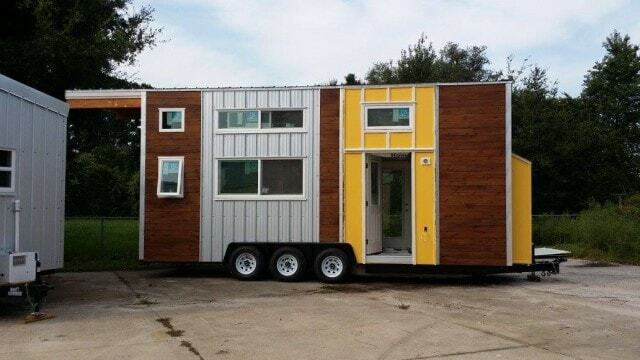 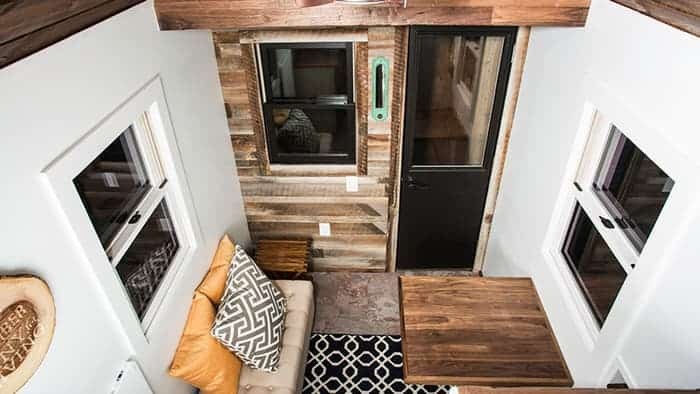 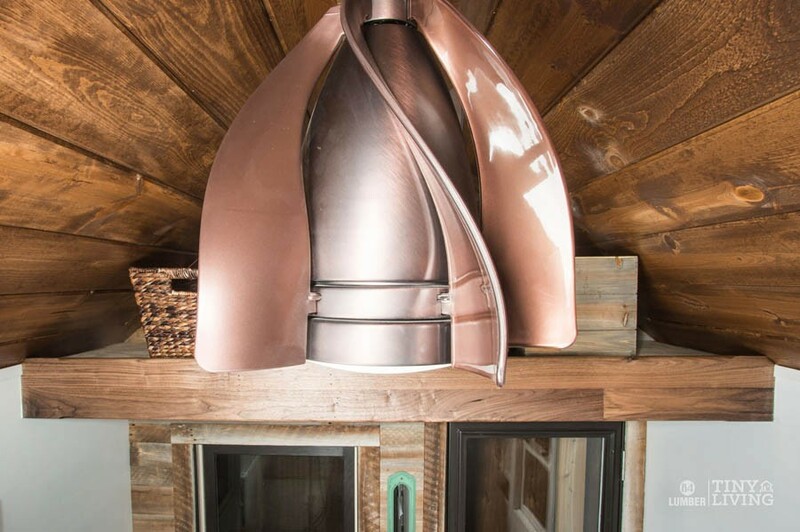 At first glance, 84 Lumber seems like an awfully big company to be building tiny houses, but the 154-square-foot Roving turned out to be just the first in a complete range. 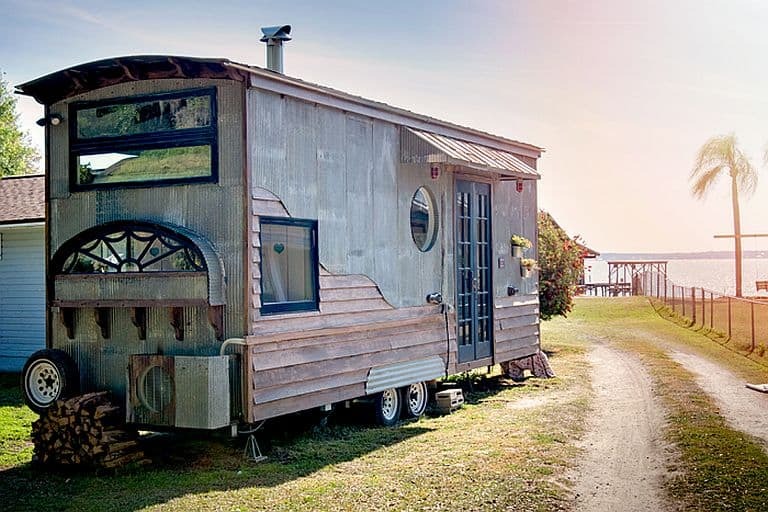 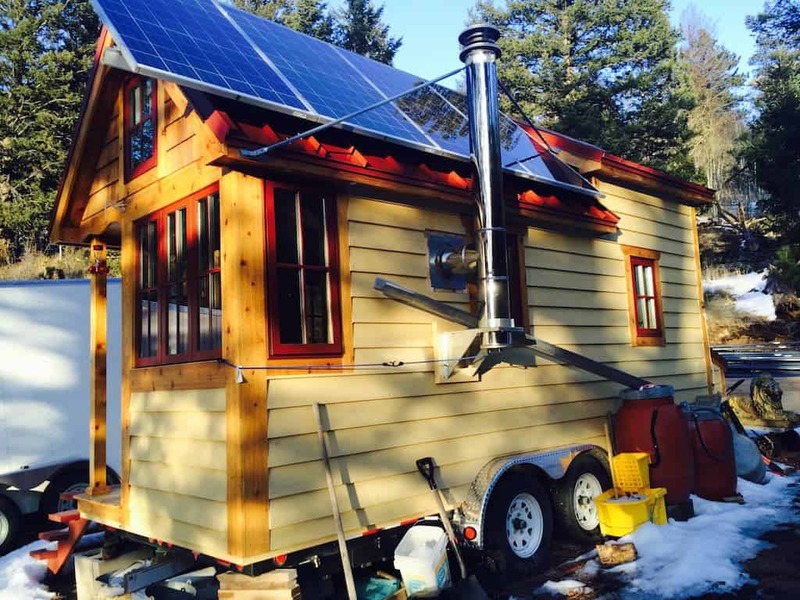 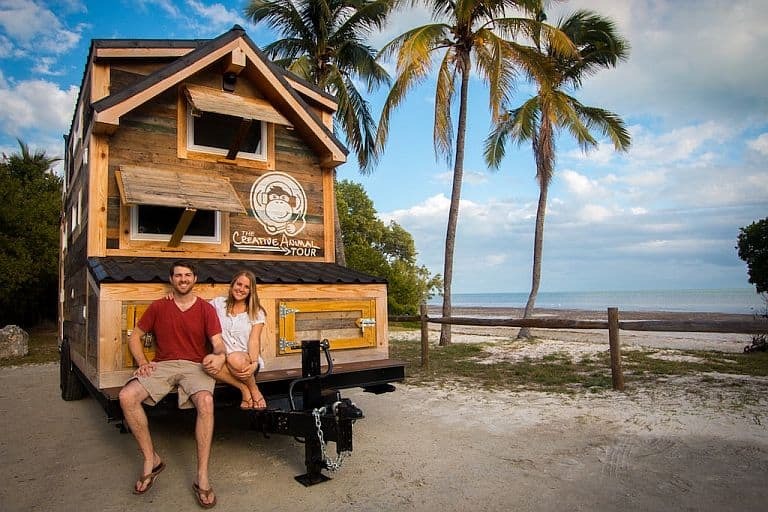 And although your knee-jerk reaction on hearing this might be to bemoan the encroachment of a giant corporation into the tiny house movement, well, they’re actually still a family-owned business. 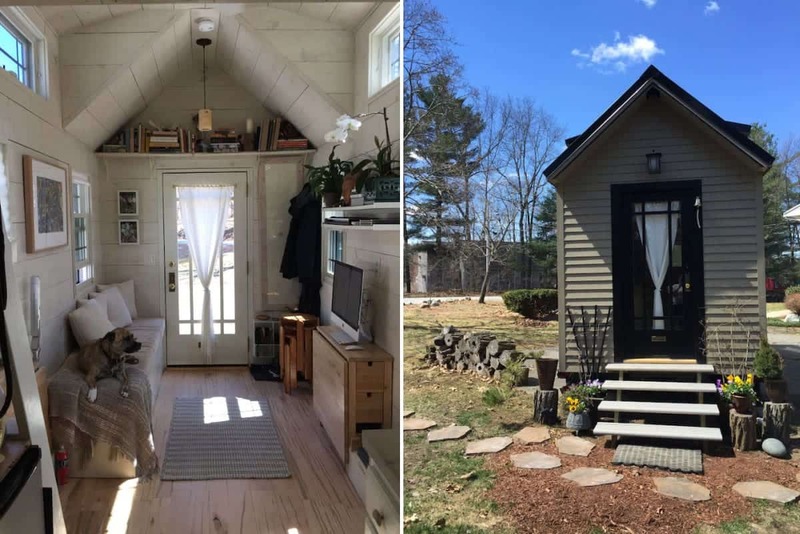 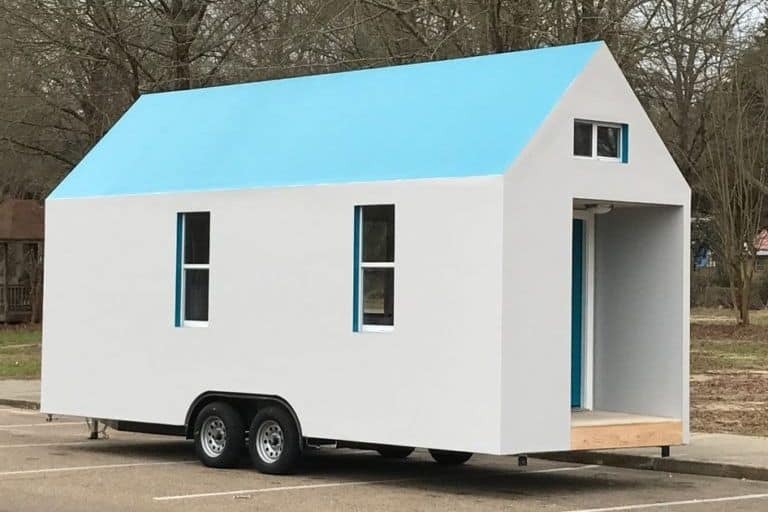 More importantly, it looks like they’ve done a great job of putting together a very small, very mobile THOW that’s completely respectful of tiny house traditions. 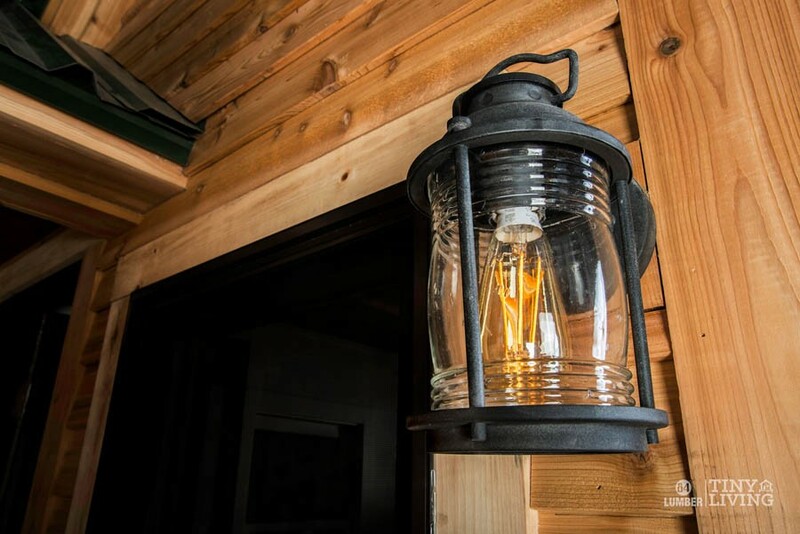 Cedar lap siding and a 26 gauge metal roof cover a wrapped and insulated 2×4 wood frame, while taped low-E windows and cork flooring help maintain a comfortable temperature inside. 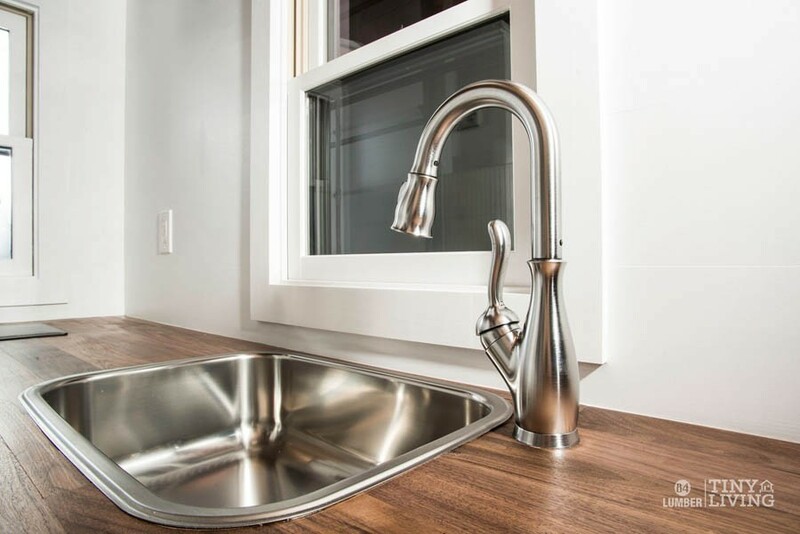 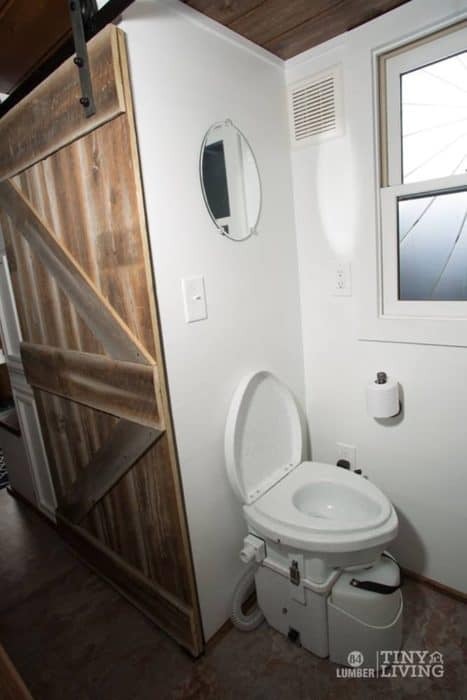 Other enviro-friendly features include LED lighting, an Energy Star refrigerator, low-VOC paints and a composting toilet. 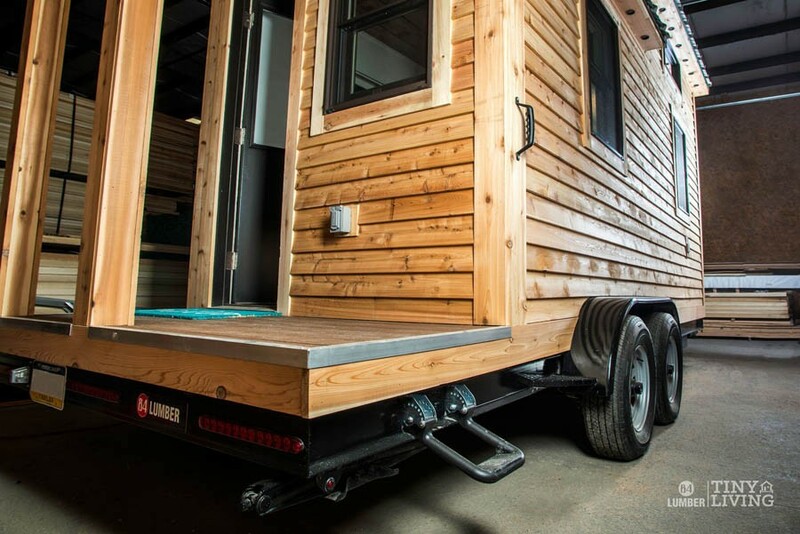 While the first production units have RV-style electrical hookups, a solar power option is in the works. 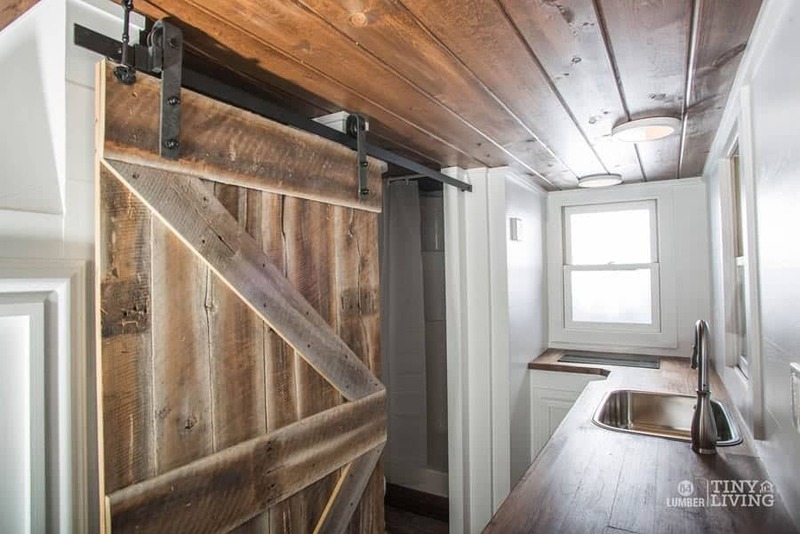 But the biggest surprise is the use of reclaimed wood for an interior wall and door, giving an unexpectedly unique character that’s nicely complemented by walnut butcher block kitchen countertops and the natural wood ceiling. 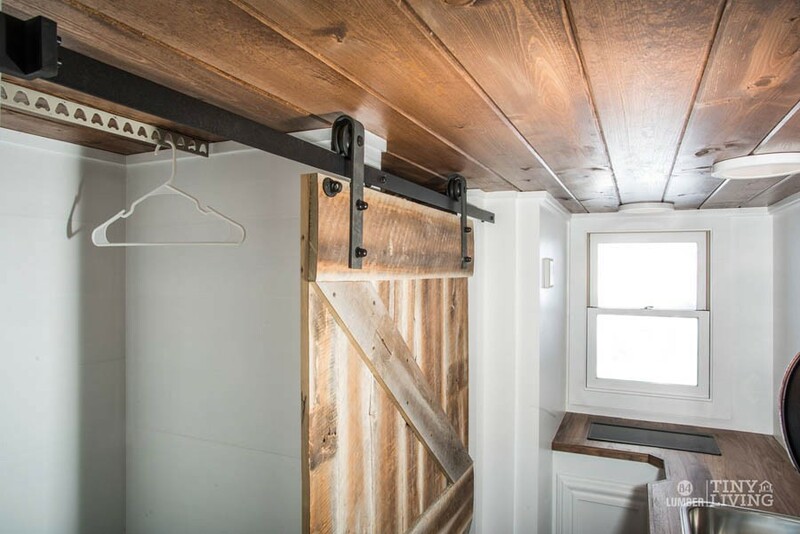 The floor plan makes the most of the truly tiny space, thanks in large part to that reclaimed door, which slides between covering the narrow bathroom and a closet. 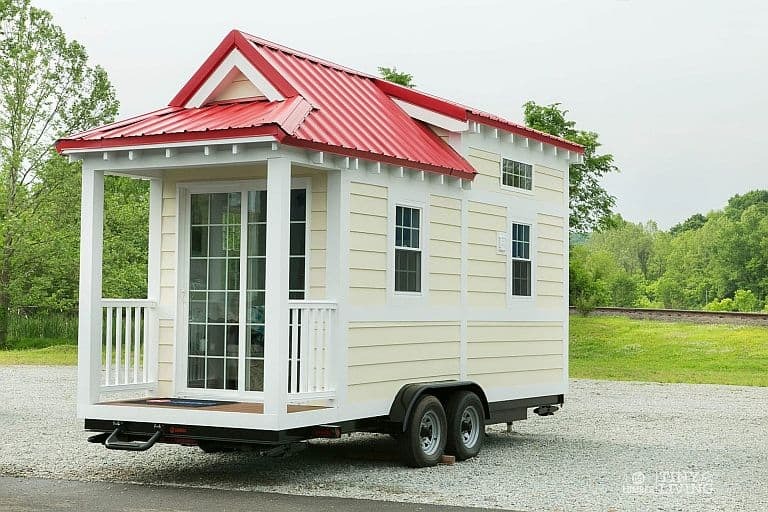 That leaves – well, not much room, but as much room as possible for the living area and kitchen. 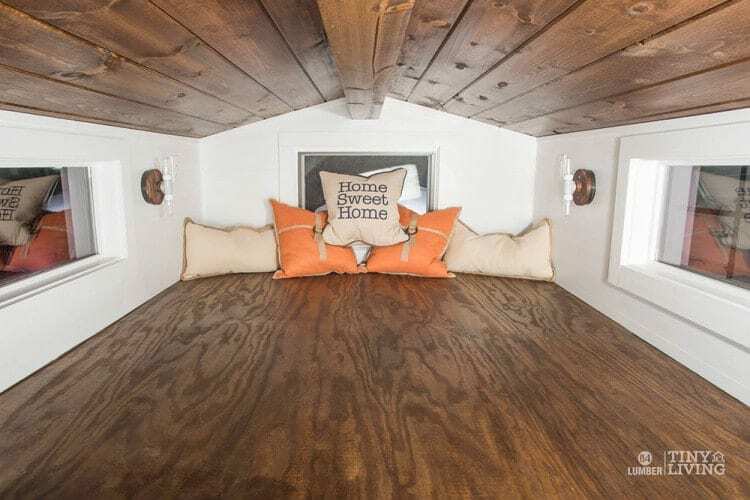 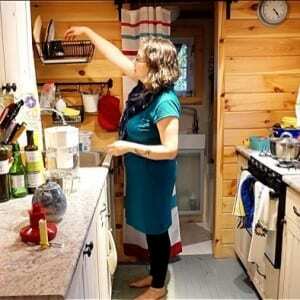 There’s a small storage loft over the entryway and a slightly larger sleeping loft above the kitchen. 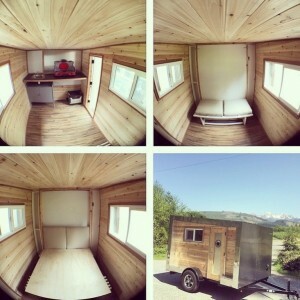 The Roving is available as a $7,000 plans/trailer combo, a $20,000 shell and a $50,000 finished unit. 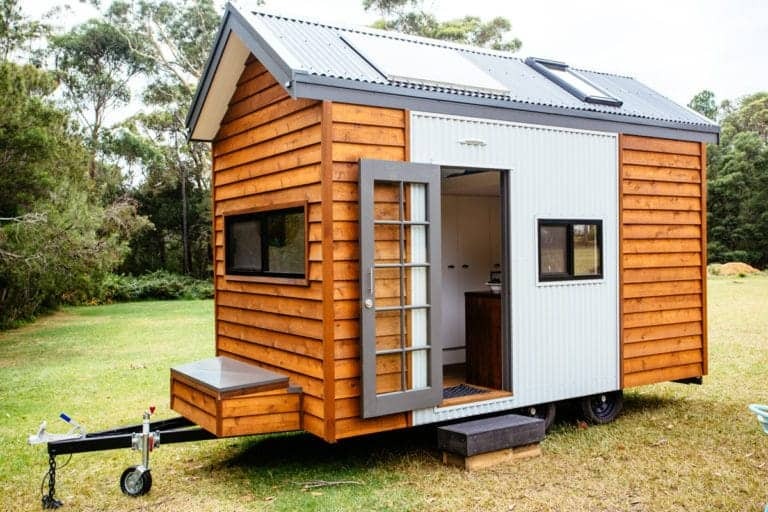 Visit https://84tinyliving.com/ to learn more.